This is really happening: you are building your first house. While you may be running on adrenaline rush, it is important to remember that building a new home should be strategic and should involve a plan. Many first time home builders may also think it is very overwhelming. However, every professional builder will tell you that it is all about routine and planning in advance. Before you start building your new home, run some numbers to determine whether you can afford to build your dream home. Unfortunately, many hopeful homeowners end up not finishing the homes they’ve always wanted because they failed to foresee when it comes to cost. Talk to your professional home contractors who can give you an accurate estimate and ball park of construction costs based on where you’re building. This usually includes the costs of construction, tax benefits, funds for the down payment and slush account, and other related calculations. As the building industry evolves and develops over the years, more and more building companies have been springing out here and there, but sadly, not all are created equal. Before choosing a professional building business, do a little research to find out which builders have the best reputation. Whether you search for information online or get recommendations from your family and friends, or previous clients that they have dealt with before. Find out whether a builder is respected for doing quality work as well as being punctual and reasonable when it comes to fees. No matter how much you love the house that you are building, it is very unlikely that you will be staying there for good. With this in mind, remember to always have room for improvements for the future. Don’t add so many upgrades that you overprice your home for the neighborhood. And don’t choose anything too out of the ordinary. Make sure you do your research to maximize energy-efficiency in the design of your new home. You can ask your contractor about opting for more eco-friendly options than conventional ones that may be taking a toll on the environment. There are also strategies when it comes to the floor plan of your home to make sure you help the environment. Your windows can be facing south so you get as much sunshine as possible heating your home or you’ll want to makes sure that bathrooms, laundries and garages are on the south side of your home and have small windows to minimize heat loss. 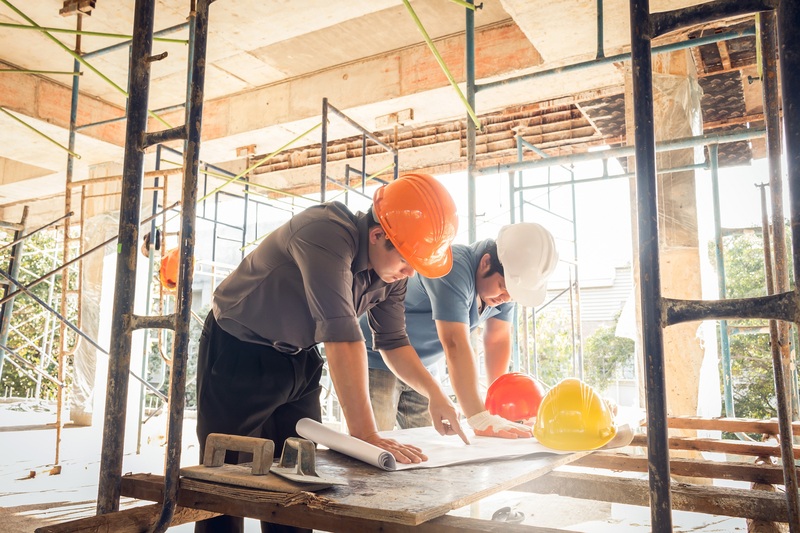 A punch list is a list created at the end of construction that shows what needs to still be done or what needs to be repaired on the new construction. Your contractor should be able to discuss with you the things you still need to do and accomplish weeks before completion, just like a final walk through. You should be taking notes every time you visit your construction site or do a walk through. When creating a punch list for your new home, keep in mind that problems typically fall into two categories: reasonable flaws and unreasonable flaws. Reasonable flaws are flaws that fall within the tolerances of building construction (or insignificant flaws that generally do not affect the quality of the new home). On the other hand, unreasonable flaws are flaws that have to be fixed. These problems do affect the quality of the home. Once any unreasonable flaws are corrected in your new home, this is called substantial completion, which means the new home is livable and can be occupied. Building your new home is a very exciting time for you. But, keep in mind that you should enjoy the process but also not get carried away and just say yes to everything an anything. Plan ahead. Have a definite idea of what you want to build but stay within budget and aim to be energy efficient and eco-friendly.